As with many classic movies, I doubt that the folks behind 1972’s The Godfather had any idea what a monster they’d create. At the time, Mafia movies were a virtual non-entity. Though the film was based on a hugely successful novel, the Mario Puzo text was largely seen as a sensationalistic piece of work, so while a film version might do good business, it didn’t seem like the stuff from which a legend would emerge. 45 years later, the genre started by The Godfather remains more popular than ever. 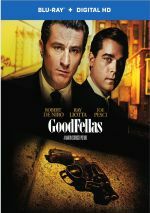 Through films like GoodFellas and TV shows like The Sopranos, gangsters continue to fascinate folks, and the field shows no signs of abatement. While some of these other works enjoyed great critical and/or commercial success, the Godfather series persists as the big dog. It’s the Beatles of Mafia media. Over the course of my three reviews – which will also include 1974’s The Godfather Part II and 1990’s The Godfather Part III - I’ll discuss the merits of each entry, but whatever praise I’ll offer for the sequels will not fully equal my accolades for the first film. Many argue that Part II offered the best of the bunch, but I don’t belong to that club. It’s a very close call, and I admit that as time goes on, I see Part II’s merits more clearly, but I feel The Godfather offers the most satisfying and compelling entry of the series. Set right after the end of World War II, The Godfather examines the Corleone family over a decade. Father Vito (Marlon Brando) runs a large and powerful crime syndicate, and sons Sonny (James Caan) and Fredo (John Cazale) also are involved, though the latter – who lacks much brain-power – only plays a tangential role. Hot-headed Sonny is an integral part of the family business and seems to be the don in training. Third son Michael (Al Pacino) – a returning war hero and the only college man of the bunch – disdains his clan’s illicit ways, and this means he’s close to them but he wants to distance himself from their criminal exploits. The film starts during the wedding of Connie (Talia Shire), the only Corleone daughter. This event allows us to get a feeling for the family business and a larger plot emerges in which competition develops between the Corleones and other groups in the area. Mainly this revolves around potential drug trade, which Vito opposes for his family. Inevitably, greater conflict ensues, and rivals attempt to kill Vito. They fail, although the violent shooting leaves Vito a shell of his old self. However, this action brings Michael closer to the family business, and the remainder of the film examines his additional involvement in these illicit activities and the aspects of the gang warfare. Many people seem to view Vito as the center of The Godfather. Brando won an Oscar for Best Actor based on his work here, and his image permeates most of the publicity materials attached to the film, including this release. However, I think such determinations miss the mark. To be certain, Vito plays a major part in Godfather, but his story does not seem central to the plot. Instead, Michael remains the focus of the tale. I suppose this seems more obvious in retrospect, since the film’s two sequels concentrate even more heavily on Michael, but it feels apparent even based just on a viewing of Godfather alone. Of all the characters, Michael becomes the only one who actually changes, and he grows in stature as the film progresses. Are the alterations positive? No, but that makes them all the more significant, as Michael becomes sucked into the nasty side of life against his will. As Vito, Brando offered a fine, iconic performance that stands as probably the most famous of his career. His work in 1951’s A Streetcar Named Desire also remains quite well-known, and his role in 1979’s Apocalypse Now maintains a high level of awareness, though not always for positive reasons. Brando enjoyed a few other roles that persist in the public imagination as well. Nonetheless, Vito remains Brando’s signature part, and he brings a great deal of force and presence to the role. In retrospect, the power he contributes makes it seem like Vito appears onscreen more than he does. As was the case with Anthony Hopkins’ work as Hannibal Lecter in 1991’s The Silence of the Lambs, a great actor created a role that transcended time limitations to dominate a film. However, Brando really does just offer a supporting actor, and Pacino plays the lead, though their Oscar nominations reversed that status. Though not as commanding as Brando’s Vito, Pacino’s Michael turns into a stronger performance. Michael goes from a fairly innocent and likable guy to someone totally detached from his emotions by the end of the film. 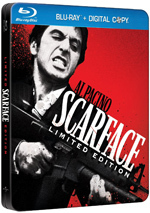 Pacino takes us through the levels of progression, and he does so smoothly and believably. He never resorts to hamminess or any forced emotions, which makes the performance all the more chilling, as it seems as if we can actually see the blood drain from Michael as the movie continues. While Brando and the rest of the cast certainly are terrific, Pacino is the empty heart at the movie’s center who gives the film depth. When I review Godfather Part II, I’ll more fully compare and contrast the first two films, but I must admit that objectively, Part II probably provides the superior flick. So why do I continue to prefer the first Godfather? Simply because it offers the more entertaining and memorable experience. 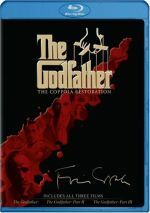 Almost all of the images we associate with the series appeared in the initial film, so while both sequels added a little to the lexicon, when most people think of the series, it’s Godfather they remember. Part II surpasses the first movie through its complexity and depth, but the first flick wins the competition due to its heart – or lack thereof, toward the end of the story. Some parts of Godfather seem a little slow at times – I never much cared for Michael’s stay in Sicily – and others don’t flow tremendously well, but the overall impact appears strong. After 45 years, The Godfather continues to provide an exciting, dramatic and compelling experience, so it’s one classic that deserves its status. The Godfather appears in an aspect ratio of approximately 1.85:1 on this Blu-ray Disc. The restored transfer offered visuals that seemed to be close to the original footage. Sharpness was strong. If any notable instances of softness materialized, they escaped me, as I thought the movie displayed fine clarity and delineation. No issues with jagged edges or shimmering materialized, and edge enhancement was absent. In terms of source flaws, the movie exhibited only a few. I saw about a dozen small white specks throughout the flick and that was it. Grain was prominent at times, but it remained within appropriate levels for a movie of this one’s age and visual design. It’s a very dark flick, so the grain was quite reasonable given that factor. Not exactly a bright Technicolor extravaganza, the palette of The Godfather remained decidedly low-key. Orange-tinted yellows dominated the flick, though reds also came through at times. Only a few scenes boasted more dynamic tones; for instance, the opening wedding scene went with fairly natural colors, and some brilliant hues emerged there. Otherwise, this was a nearly monochromatic affair. Those yellows looked awfully heavy – heavy enough that I occasionally wondered if the transfer mucked with the original color design. Given the talent involved with this restoration, I trust that the hues do represent the 1972 intentions. Director Francis Coppola, cinematographer Gordon Willis and noted film preservationist Robert Harris supervised this sucker, so I have to believe they tried to keep things faithful. In any case, while the heavy yellow tone could become a bit of a distraction at times, it wasn’t anything truly problematic. The transfer represented those hues in a clear manner, and the occasions during which the flick went with other hues became positive. As I alluded, the wedding scene looked solid, and the other occasions that featured more vivid tones seemed strong. This was an unusual palette, but the disc represented it well. Black levels came across as deep and dense, and they acted as one of the transfer’s strengths, as the dark tones were sumptuous and rich. Contrast was quite good, and shadow detail seemed up to the task in this dimly-lit flick. Most of the low-light situations appeared to be appropriately heavy but not excessively thick. Sure, parts of the movie were quite dark, but that seemed to represent the original visual design; I saw no signs that the transfer suffered from excessive opacity. Only the smattering of print defects concerned me, and they knocked this down to a “B+” presentation. Remove those and this would be a solid “A”. I found some ups and downs via the Dolby TrueHD 5.1 soundtrack of The Godfather. Taken from the film’s original monaural stems, the mix attempted a pretty wide soundstage. The audio stayed primarily located in the forward spectrum, but it spread elements out across the front speakers. Quite a lot of ambient effects cropped up in the sides, and the music showed nice stereo separation as well. Surround usage appeared minimal for the most part. During a few scenes – such as those that involved trains or planes – the rear channels kicked to life fairly nicely, but for the most part, nothing more than general reinforcement came from the surrounds. Audio quality created some minor concerns, most of which stemmed from artificial reverb added to the mix. Speech showed this light echo much of the time. I suppose this intended to give the lines a feeling of place, as the reverb was supposed to place us in the action. This didn’t work, however, as the echo made the dialogue sound less realistic and more distant. The reverb wasn’t a terrible distraction, and the lines remained intelligible and reasonably warm, but I felt it was unnecessary. Effects also showed some echo, but not to the same degree. These elements worked acceptably well. Though the effects tended to show their age and suffered from a little distortion, they usually appeared reasonably clean and full. A few of the effects elements also came across as pretty powerful and dynamic. When Tom Hagen’s plane lands in LA, and when the train roars by while Michael’s in the restaurant, I found the track to offer good reproduction and force to these bits. Another scene in which thunder roared provided solid breadth and depth. I could have lived without the reverb, but the effects were generally fine for their age. Music acted as the best aspect of this track, as the score showed generally good reproduction. Yeah, the music had a little too much reverb as well, but I didn’t find much fault with that part of the track. Overall, this was a decent remix, though one I couldn’t grade above a “B-”, largely due to the bouts of reverb. This version also provided the monaural track that accompanied the flick’s theatrical run in 1972, and I thought it offered the most satisfactory audio experience. Sure, it lost the moderate expansion of the soundfield, but it gave us cleaner audio. In particular, speech was clearer and more natural, as it lacked that annoying reverb heard in the remix. I felt the monaural audio was smoother and more direct, so it’s the track I recommend. How did this 2017 “45th Anniversary” Blu-ray compare to the original BD? Both were identical – literally, as the 2017 disc simply reissued the old release. Only one extra appears here: the same audio commentary from director Francis Ford Coppola found on all prior discs. The director provides a running, fairly screen-specific affair. Although the track suffered from a fair number of empty spaces, I had little problem with the gaps, largely due to the length of the movie itself; at nearly three hours, that’d be a lot of room for Coppola to cover. I also didn’t mind the blanks too much due to the quality of the commentary itself. I wouldn’t call this a great track, but Coppola offers a lot of solid information and he does so in an engaging way. In a refreshing move, he mainly covers problems encountered during the making of the film. Many commentaries suffer from “happy talk” syndrome, but that definitely isn’t the case here. Coppola never seems petty or bitter – he who laughs last and all that – but he does relate the difficulties he encountered in a frank manner. Ultimately, he ads a lot to the table during this interesting and informative commentary. 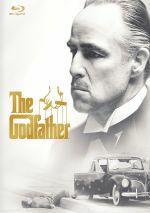 The Godfather earned the second position on the American Film Institute’s list of the Top 100 films. 45 years after its initial release, I find it hard to quibble with that choice. The Blu-ray provides very good picture, acceptable audio and an informative commentary. This turns into a quality release, though not one needed by fans who own the prior Blu-ray, as it simply reissues/repackages that Blu-ray.